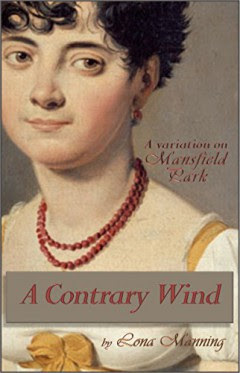 Jane Austen fans rejoice: there is a new take on Mansfield Park by Lona Manning titled A Contrary Wind: a variation on Mansfield Park. Fanny Price, niece to Sir Thomas Bertram of Mansfield Park, is an intelligent but timid girl from a poor family, who is grateful for the advantages of education and breeding conferred upon her as result of growing up with her wealthier cousins. But the cruelty of her Aunt Norris, together with a broken heart, compel Fanny to run away from Mansfield Park and find employment as a governess. This variation of Jane Austen's novel includes all the familiar characters from Mansfield Park, as well as some new acquaintances. 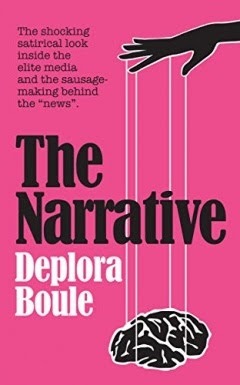 Note to readers: There are some mature scenes and situations not suitable for all readers. It sounds interesting because as much as I love most of Austen's work, Mansfield Park has always been my least favorite. I can understand wanting to play out a storyline where Fanny runs away. *My favorite is Austen book is Northanger Abbey, in case you were wondering.